Great things can happen when you incorporate light into the design of your home. But inviting natural light into your living space is one thing. Managing it effectively is another. Thanks to VELUX's latest selection of specially designed blinds, you can not only control the amount of light a room receives, but its direction and quality too. Each style of blind has a specific purpose, whether you’re looking to soften the light or even block it out completely. These are the only blinds specifically designed and manufactured to fit VELUX Roof Windows. Blackout or Roller? Pleated or Venetian? Whichever type of blind you choose there’s one thing you can be certain of. Not only have they been designed with supreme functionality in mind, they’ve been created to be sleek and beautiful. From the operation of the blind itself to the eye-catching and contemporary choice of fabrics and materials, you’re spoilt for choice. VELUX blackout blinds give the best total darkness for both night and day. Perfect for afternoon naps and those lighter summer nights. Just right to ensure the kids get that deep sleep they need. They’ll keep you comfortable too. Each blind features an outer aluminium foil that reflects excessive heat from the sun in summer. Equally, this helps retain welcome heat in winter. The roller blind is simple, elegant and always stylish. An effective and practical solution that offers both protection and good looks wherever it’s used. Just pull down and create the room-changing mood you’re after. Diffuse the light, and if required ensure your basic privacy. Choose from a wide range of looks and designs. Of course, our blinds aren’t just designed to be technically efficient and hard wearing. They’re designed to be beautiful. They’re also designed to allow you to express yourself. Take our pleated range. Not only can they help you to create colourful and original light effects, they can help you to compliment your personal choice of furniture and decoration. An ideal solution for any area encountering high levels of humidity. Adds a simple practical chic appeal to kitchens and bathrooms you can turn an ordinary room into a space of true beauty. The Venetian allows you to control the amount and direction of light entering your room. The aluminium coating option allows help to regulate the temperature in a room by reflecting the heat in the summer and retaining it in the winter. 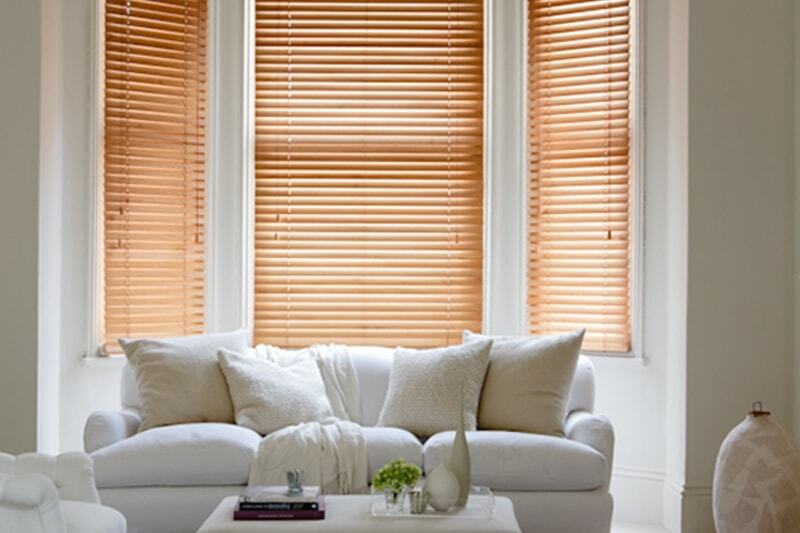 External blinds that are perfect for keeping rooms cool and reducing the heat of the sun on hot summer days. They stop the sun before reaching the glass. They also allow a pleasant diffused light to enter the room. When closed, they can reduce the amount of heat entering a room by up to 90%.Each blind is easily installed internally, and rolls up out of sight under its casing when not in use. In the spring and summer months It's lovely to have the windows open but sometimes they let in unwelcome guests as well as fresh air. The VELUX insect screen allows you to eat and sleep in comfort. This screen is installed on the wall so you can use your window as normal. When not in use, simply roll it up in its aluminium casing. It can be combined with all types of Velux blinds providing ventilation throughout your home while keeping the insects away. In order to match the correct blind for your window, you need to provide us with information from the window's data plate. 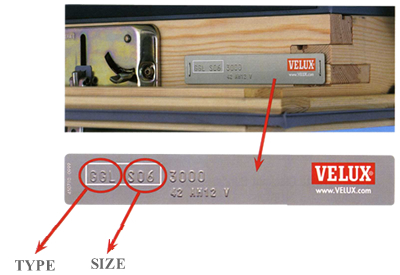 All VELUX roof windows have a data plate stating exact information about the window. Somewhere visible on the inside of the frame or sash, or behind the ventilation flap. You will find your data plate. 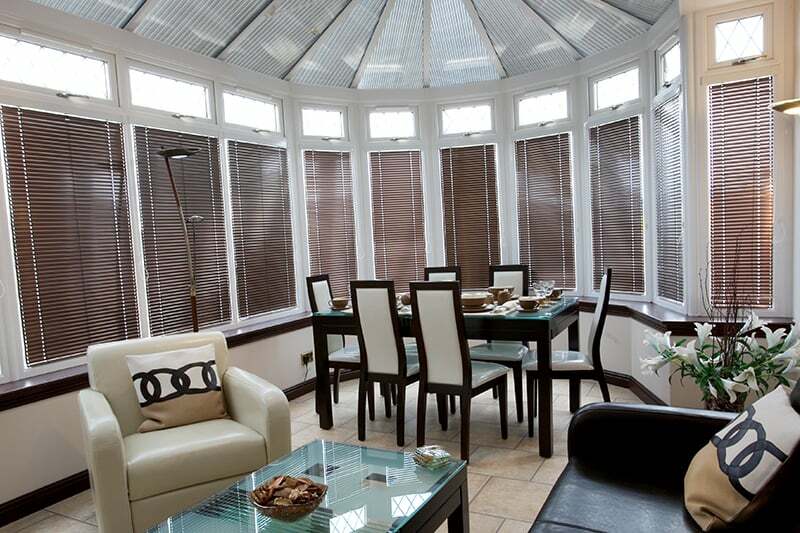 An elegant and versatile shading solution for larger windows or patio doors.